During an upper endoscopy, also known as an endoscopy of the small intestines, a physician uses a small, lighted instrument to view the upper digestive system. This procedure is typically performed for diagnostic reasons, though it may be performed for therapeutic purposes as well. In order to perform the test, the doctor must first put the patient under intravenous sedation. While this doesn’t put patients completely “under,” it sedates them well enough that they’re unlikely to remember the procedure. After the patient is sedated, the doctor will begin by inserting the gastroscope down through the esophagus, into the stomach and eventually into the small intestine. A gastroscope is a thin and flexible lighted tube that allows the doctor to examine the esophagus, stomach, and duodenum for any abnormalities. Should something look suspicious or if the test is being performed for diagnostic purposes, the physician may use the gastroscope to take a small biopsy of tissue from a certain area. Because of the low amount of risk involved and the frequency with which these tests are performed, they’re typically performed on an outpatient basis. Upon awaking from the sedation, the patient is observed for a brief period of time before being allowed to leave. While an upper endoscopy is a routine procedure, as with any invasive medical test there are some risks involved. These risks include possible bleeding, tears in the gastrointestinal tract, an infection in the digestive tract, sepsis, and in extreme cases even death. There is also the possibility of negligence during an upper endoscopy, which can result in harm to the patient. Medical malpractice can result from various mishaps. Equipment malfunctions during an exam could cause internal injuries. Serious damages can also occur if the physician fails to use the gastroscope correctly. 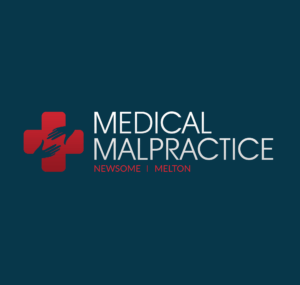 A medical malpractice case can arise if the patient is injured due to a deviation from the accepted medical procedure or from an error made by the doctor performing the test. Lastly, negligence can occur should the procedure result in an infection in the gastrointestinal tract or small intestines. Should a patient sustain an injury during an upper endoscopy as a result of negligence, finding a medical malpractice lawyer is a wise move. An experienced malpractice attorney will assess the situation to decide whether one has a potential case and if so, he will determine how best to proceed. Ultimately, an experienced lawyer will be able to represent his or her client’s best interests in court, ensuring that they get the settlement they deserve.